As per a recent report by NASSCOM, the Indian technology landscape has seen a tremendous growth towards creation of innovative start-ups and has emerged as the 3rd fastest growing hub for technology start-ups in the world, followed by 108 percent growth in total funding received, from $2.03 billion in 2017 to $4.2 billion in 2018. Further, these start-ups have created 40,000 new direct jobs while there has been at least a threefold increase in indirect jobs. The start-up world has been an important area of focus for the government. In 2015, the current government launched the Start-up India Action Plan with the objective to provide incentives to the industry such as tax holidays, inspector raj-free regime, capital gains tax exemption etc. At the Global Business Summit 2019, Prime Minister Narendra Modi laid out his vision for making India a $10-trillion economy, and the third-largest in the world. There are a number of options to raise capital for a start-up such as Seed Funding, Financing and Loans, Angel Investors, Venture Capitalists and Initial Public Offers with the most common option being through Angel Investor and Venture Capitalists. Angel investors are individuals such as family members, friends or high net worth individuals who help start-up entrepreneurs in taking their first step by providing the initial capital in exchange for part ownership. As compared to any other option, an angel investor provides comparatively more favourable terms since they usually invest in the entrepreneur starting the business rather than in the viability of the business. As per current Income Tax provisions, if a closely-held company i.e. a company in which public is not substantially interested, issues shares at a price which is more than its fair market value (FMV), then the excess amount i.e. excess of issue price over fair market value will be taxed as income from other sources in the hands of the company. This concept was introduced in Union Budget 2012 by the then finance minister Pranab Mukherjee. The primary intent was to put a stop to laundering of funds. The tax came to be called as ‘angel tax’ after some start-ups started receiving notices from the Income Tax department to pay tax on excess consideration received (i.e. Issue Price – FMV * Number of shares issued) on issue of shares to angel investors. The essence of the whole idea of issuing shares to an angel investor is to make them pay a premium for the idea and the business potential at the initial funding stage. Therefore for the said purpose, the discounted cash flow method (DCF) is used which is a globally accepted methodology to value start-ups as they are based on company’s projected earnings at that point in time, subject to commercial negotiations between the company and the investor. Disputes arose when income tax provisions suggested use of the net asset value (NAV) method, which considers the present situation of the company for the calculation of FMV, as compared to the globally used discounted cash flow method (DCF), thus making it difficult for start-ups to justify the high valuations to income tax officials. A large number of start-ups have received notices to pay angel tax. The rate of tax is as high as 30.9 percent. However considering the genuine hardship of start-ups, the government has assured that no coercive action would be taken to recover the demand and has set up a committee to review the entire issue. The government has acknowledged that angel tax can be a drawback for the industry and may hamper smooth take off vital for any start-up. 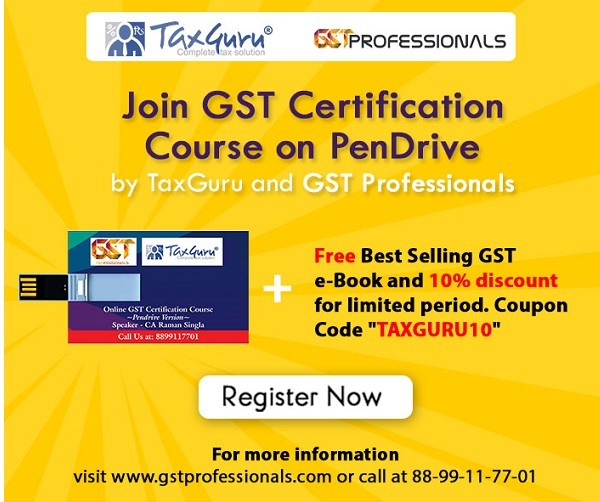 Therefore to save from any undue hardship and to bring the budding Indian start-up sector at par with global competition, the government has exempted start-ups from applicability of angel tax, subject to fulfilment of certain terms and conditions as specified by the Department for Promotion of Industry and Internal Trade. The government through a notification in the public gazette dated May 24, 2018 exempted start-ups from the applicability of angel tax if the aggregate amount of paid-up share capital and share premium of the start-up after the proposed issue of shares does not exceed INR 10 crore. is working towards innovation, development or improvement of products or services. In order to ensure scalability of start-ups and considering the recommendations from various associations and stakeholders, the government agreed to revisit the threshold limit set for the applicability of angel tax. In a welcoming move, the government through a recent notification dated 5 March 2019 raised the angel tax exemption limit for start-ups with consideration received for issue of shares up to INR 25 crore, as compared to the earlier limit of INR 10 crore. Further investment from venture capitalists, non-resident Indians as individuals, alternative investment funds (category I) and listed Indian companies with net worth of at least Rs 100 crore (or turnover of at least Rs 250 crore) have been exempted from the angel tax purview. Moreover the government vide notification dated 19 February 2019, also widened the definition of a “start-up,” making it easier for investors to invest in these companies. and if its turnover for any of the financial years since incorporation and registration has not exceeded Rs 100 crore, in place of Rs 25 crore earlier. Angel investors are the most approachable and easiest source of funding at initial levels. The actions of the government to increase the threshold limit of applicability of angel tax is thus a welcoming move, which may in turn encourage angel investors to invest more in start-ups and ease the lives of start-up founders.